Feature your photos beautifully on this full-size, custom design duvet cover. SIZE Choose an optionTwin 68" x 88"Queen 88" x 88"King 104" x 88"
By designing your own duvet cover, you’ll have a bedspread that matches your room as well as your personal style. You can choose a favorite photo of your family or pets, keeping them close beside you as you sleep. You’re not limited to portraits, though. Landscapes, sunsets, and still life photos can all look fantastic on duvet covers, too. If your bedroom has a theme, you can customize your duvet cover to fit that theme. This idea can work especially well with our specific designs. For instance, the “Underwater” and “Catch a Wave” duvet cover could match a nautical-themed bedroom. A floral-themed bedroom could have a “Floral Burst” or “Flowers and Paisley” duvet cover. Then, choose a matching photo, like a gorgeous flower for the floral theme or a picturesque boat for the nautical theme. Add a photo blanket, pillow, or pillowcase, and your theme will be complete. 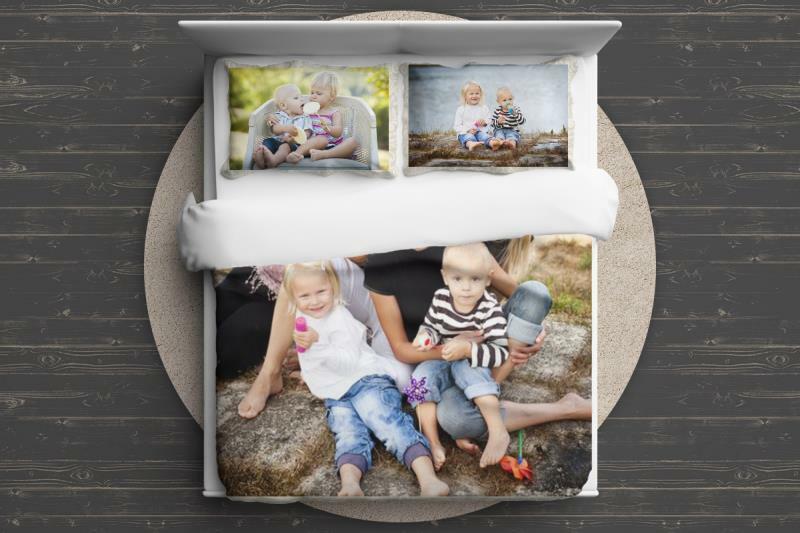 Personalized Duvet Covers Made to Last! The image(s) you choose will stay clear and beautiful, too, thanks to our method of printing with dye sublimation. 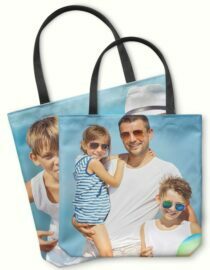 Using dye sublimation means the photo ink is put directly into the material. This method produces sharp, colorful images that are permanent. 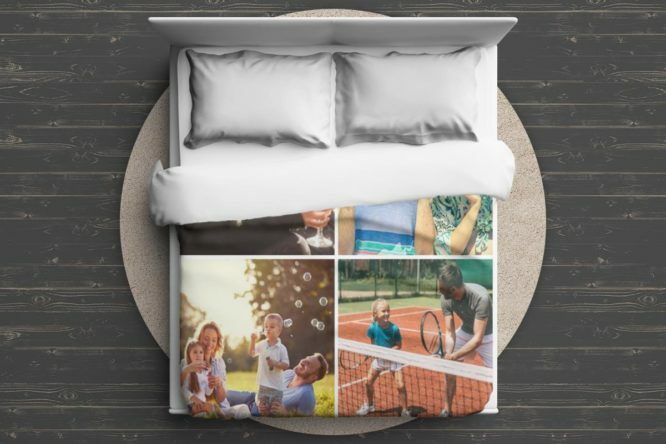 They’re part of the fabric itself, so they won’t rub off or break up in the wash.
No matter what photo or design you choose, you’ll get a duvet cover that’s soft, fluffy, and amazingly comfortable. We’ve achieved this level of comfort by producing our duvet covers with high-quality, lightweight microfiber. This material is known for its softness, strength, and durability. It’s hypoallergenic, machine-washable, and long-lasting—all the things you want in a duvet cover. Our duvet covers come in three sizes: twin (60″ x 80″), queen (88″ x 88″), and king (104″ x 88″). All three sizes have the same high level of quality, comfort, and clarity. They’ll make your image look great and be super comfortable for a good night of sleep. A photo duvet cover can turn a plain-looking bed into a special place to rest and enjoy a beautiful scene or memory. It’s unlike any duvet cover you’ll find at the store—it’s unique, personal, and exactly what you want. This was the 1st time I’ve used goodprints…..I was nervous since this was an important/very special gift…..all I can say is “Wow” the quality and clarity of the pics is amazing! I showed friends and coworkers and they were absolutely amazed…..